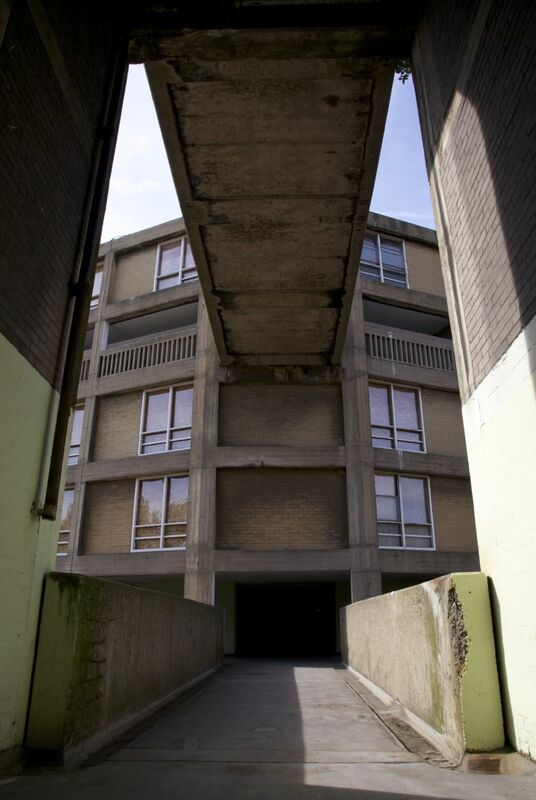 In 21st-century Britain, the social housing estate – and particular those described, usually pejoratively, as ‘Brutalist’ – serves as an archetypal contemporary ruin. Even as many of these concrete tower blocks have been demolished (usually in spectacular explosive-created ‘blow-downs’), some have been reclassified as ‘unfinished’ projects, or in need of updating to the new political landscape dominated by neolliberal capitalism. 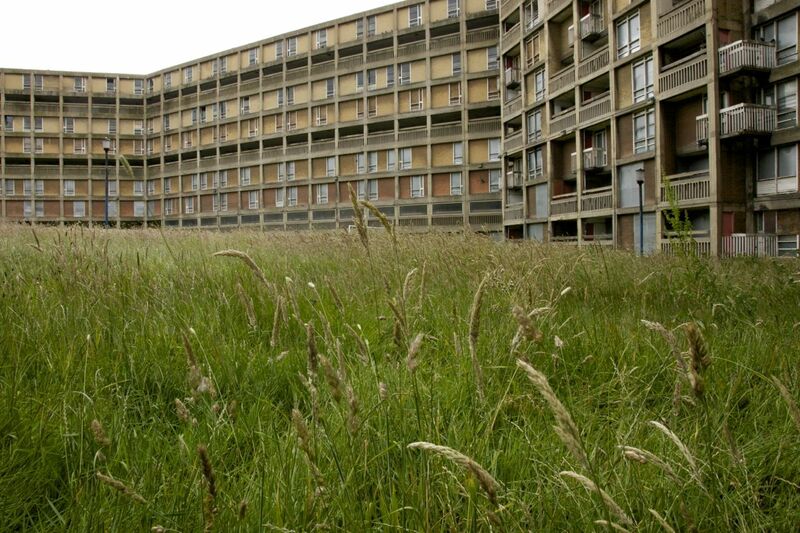 The largest example in Britain is the Park Hill estate in Sheffield, its 985 flats and ‘streets in the sky’ built from 1958 to 1961 by the architects Ivor Smith and Jack Lynn under the auspices of Lewis Womersley, the chief architect of Sheffield’s Housing Committee. 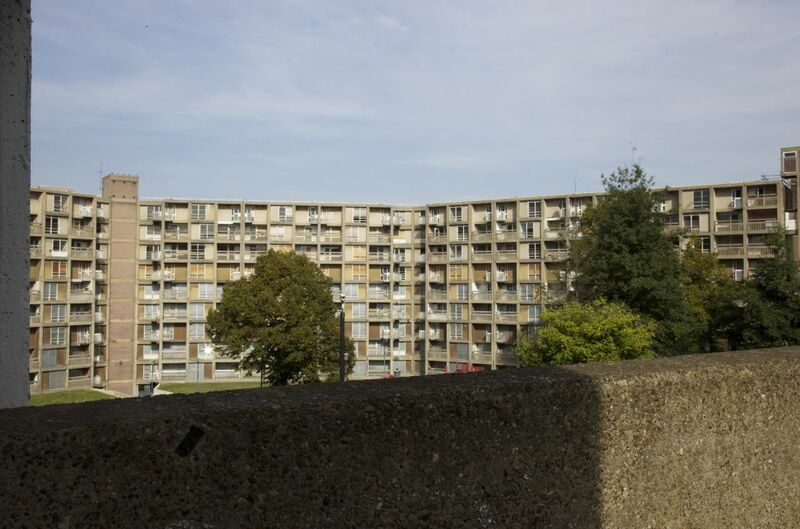 Alongside London’s Barbican estate, Park Hill was the largest-scale application of the approach known as New Brutalism, characterized by an emphasis on massive scale, the use of unpainted concrete, and a concern for social cohesion in mass housing. Yet, by the 1990s, the estate had become, like so many others, redolent of failure: equated with ugliness, social decay, drug use and family breakdown. 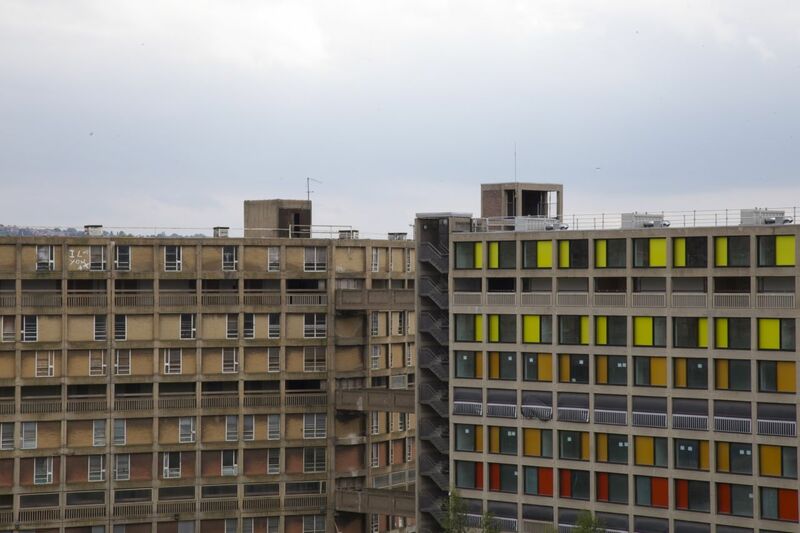 Its almost certain demolition was avoided when English Heritage controversially placed a Grade II* listing on the entire estate in 1998, after which a long and tortuous process of regeneration began, led by the developer Urban Splash, to whom the estate was transferred (for free) in 2004. 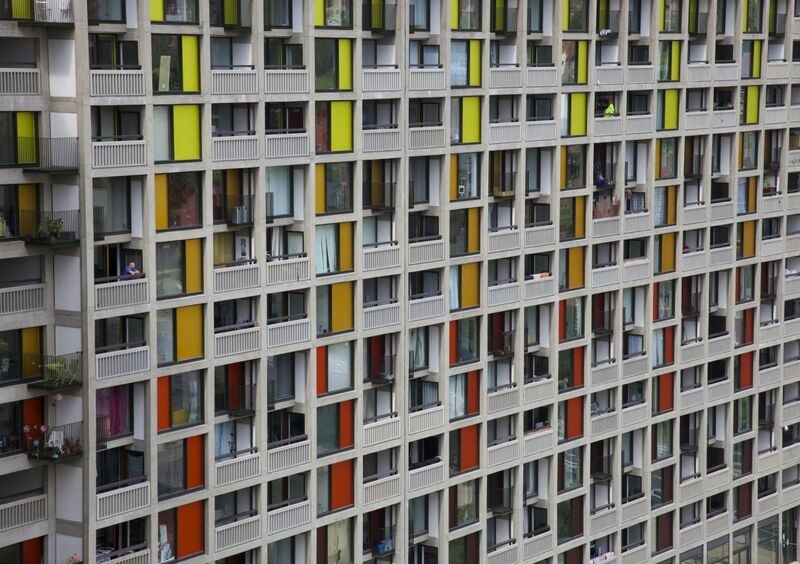 By mid-2015, Urban Splash had renovated the tallest block of the estate (with the concrete frame restored and new apartments fronted by brightly-coloured panels designed by the French architect Christophe Egret), with two more blocks in progress. Meanwhile, the rest of the estate lies abandoned save for a handful of stubborn residents still living in the old flats at the low-rise end of the complex and the flourishing Grace Owen Nursery School that has been housed within one of the otherwise abandoned blocks since 1963 and which is awaiting relocation in one of Urban Splash’s renovated blocks. This combination of unfinished construction and abandonment gives Park Hill a peculiar but unmistakeable temporal complexity. On the one hand, in the grass that now grows thigh-high in the vast open space surrounded on all sides by the abandoned blocks, time seems to have stopped, or at least become aligned to the more conventional ruin time of abandoned buildings – a slowed-down present redolent with lost histories, in this case the lives of the thousands of former residents who are summoned up by the hundreds of repeating windows now covered over with identical metal grilles. 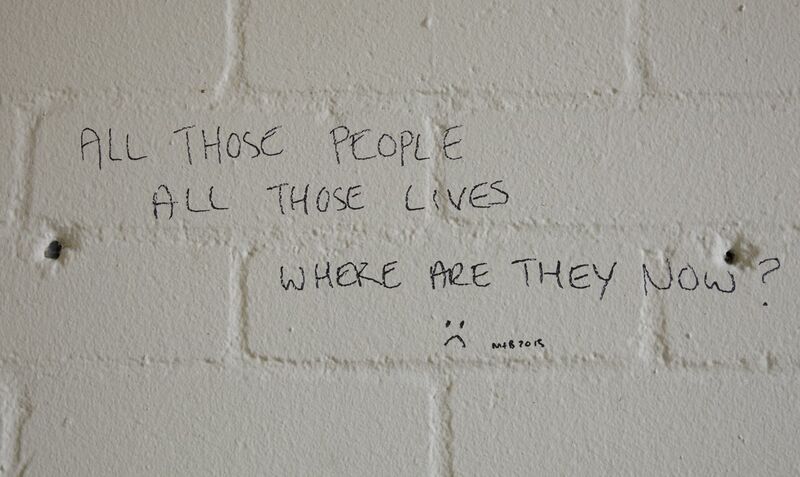 Expressed rather too literally in a diminutive piece of graffiti on one of the brick infills between the concrete frame – ‘All those people, all those lives. Where are they now?’ – this sense of the immanence of lost histories is nevertheless offset by those that still inhabit these ruins, whether the staff and young children of the longstanding Grace Owen nursery or the two flats that are still occupied in the otherwise abandoned blocks. Here, lived space – whether evidenced by the sounds of children playing in only of the estate’s many playgrounds (the others silent), or the sight of wet clothes hanging outside the two inhabited flats – disturbs the temporality of the ruin as signifier of an architecture that has been consigned to the past. These lived spaces also challenge the new vision of Park Hill being partially realised by Urban Splash: for, although the developer is providing 200 new flats that will be available for social rent, the majority (around 600) will be sold on the open market in what Owen Hatherley has openly called a form of ‘class cleansing’. Indeed, with prices for the new 2-bedroom flats starting in mid-2015 at £147,000 (well above the average price for similar properties in Sheffield), it is hard to see the new flats as anything more than a repudiation of the social as understood by the estate’s original designers. For some, this represents a healthy development, one that will encourage a new social mixing in the renovated estate even as it squeezes out the poor onto ever-larger waiting lists for council housing; for others, like Hatherley, it represents nothing less than the ruin of the ideals upon which the welfare state is based, signally the abandonment of the socially progressive vision that lay behind the design of the original estate. In the words of David Sillitoe, the estate ‘was meant to be the future’; now, it and the utopian ideals it once embodied have ‘all gone to rack and ruin’. Fascinating the contrast between old and Urban Splash’s new, abandoned and upgraded. I wonder how the remaining residents view living in such a Ballardian environment. Interesting and timely post. Thanks Alex. I almost knocked on their doors to ask some questions but felt this might have been a little intrusive. 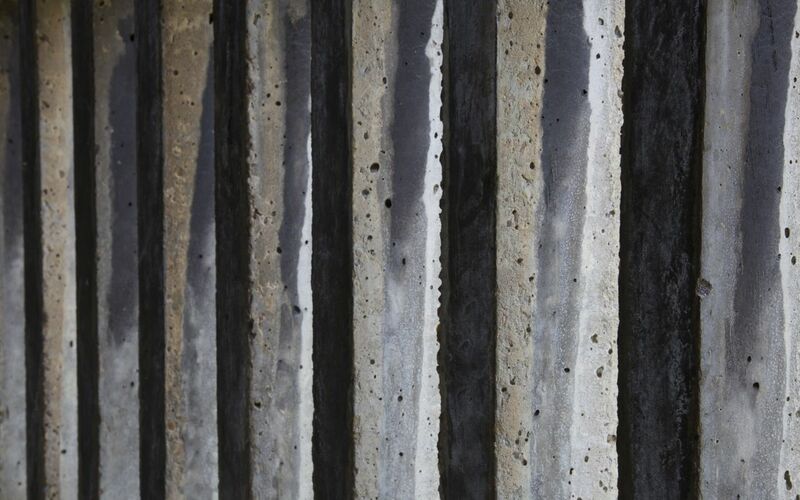 London probably has the most modernist tower blocks that are being revamped in this way.